The show has grown and evolved over the years, but it manages to retain the atmosphere of a county or local horse show, whilst still offering world class competition. 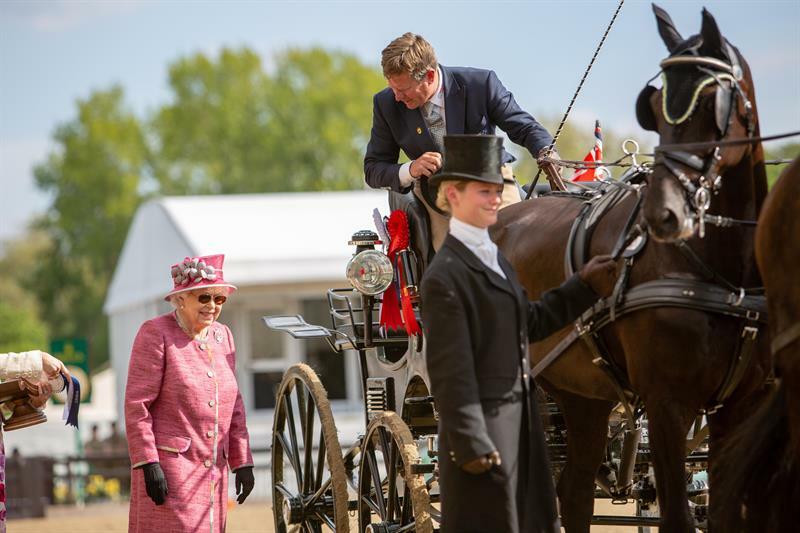 Members of the Royal Family were there each day either competing or spectating, Her Majesty the Queen has not missed a single show and those attending may have caught a glimpse of the Duke of Edinburgh. Seventy-five years ago, when the world was at war the very first Royal Windsor Horse Show was established, the aim was to raise money to build Spitfires during the Wings for Victory week in May 1943. This was reflected in 1940’s style with tents bedecked in bunting, music and an exhibition detailing the Show’s history. The competition and events were very much about the present day and this was reflected across all disciplines. In the driving classes from international competitors to a first in the Light Trade class for a donkey, this year’s show was a winner. Members of the Royal Family were there each day either competing or spectating, Her Majesty the Queen has not missed a single show. In 2018 and the show continues to raise funds, now for charity, this year it is supporting Free Spirit Horse Memorial Appeal acknowledging the horse’s unfaltering service to mankind by creating a life-sized bronze statue at the National Memorial Arboretum in Staffordshire. LAND ROVER INTERNATIONAL DRIVING GRAND PRIX - ROYAL WINDSOR The 55 competitors representing 16 nations in the Land Rover International Driving Grand Prix enjoyed perfect weather for three out of four days - the bad one, when persistent rain fell from noon onwards, unfortunately being marathon day. The full article and amazing photographs are in the June issue of Carriage Driving.